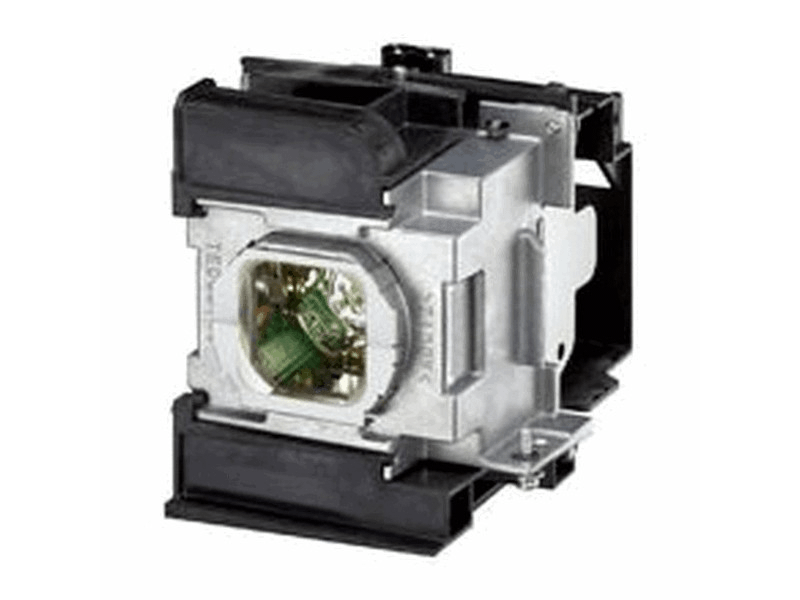 The PT-AR100 Panasonic projector lamp replacement comes with a genuine original 275 watt Ushio brand bulb inside rated at 2,800 lumens (brightness equal to the original Panasonic lamp replacement). The PT-AR100 lamp has a rated life of 3,000 hours. Our PT-AR100 Panasonic lamp replacement has superior brightness and lamp life than other cheaper generic replacement lamps being sold elsewhere. Purchase with confidence from Pureland Supply with a 5-star Google rating, free ground shipping, and a 180 day warranty. PT-AR100 Panasonic Projector Lamp Replacement. Projector Lamp Assembly with High Quality Genuine Original Ushio Bulb Inside. Super fast shipping, lamp is exactly what we needed. Price is good. Free shipping. Delivery was excellent. Received the projector lamp in 2 days. Securely packaged. You can trust these guys. Our order shipped out the same day and the lamp is a very high quality with the original Ushio bulb. Very pleased with the service and price.